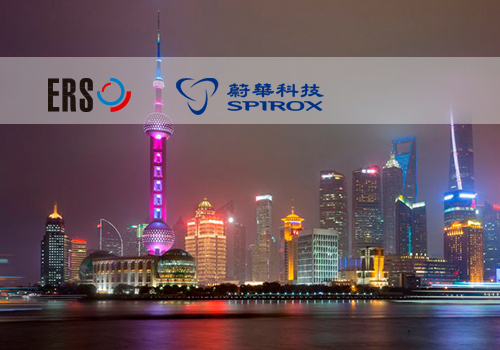 “We are glad to welcome Spirox Technology as an additional channel partner in China. The Chinese market has the fastest growing demand for semiconductor equipment. We believe that that this partnership will bring more business opportunities for both Spirox and ERS.” Says Joshua Zhou, Head of Sales & Marketing of ERS China. “As a professional total solution provider in the semiconductor industry, Spirox is very pleased to be one of ERS’s partners in China. In addition to solid local relationship and customer base, Spirox professional team covering sales, application, customer service to promote ERS solutions, we deeply believe that business success is right within sight,” says Max Chen, President of Spirox Technology (Shanghai) Co., Ltd.
Spirox is a premier sales channel into the Great China market that helps deliver quality integrated solutions to our customers in the major industries of Semiconductor, Electronics Manufacturing, Telecom and Automobile markets by providing leading-edge total solutions and products from IC Design Characterization Products & Services, Semiconductor Test & Assembly Solutions, Automatic Optical Inspection and Defect Detection Equipment.